One of the roles of any good buyer agent when selling a home to a buyer client in Massachusetts is to educate them on the home buying process including the “contingencies” that they should have in their Real Estate contract. The contingencies in a Massachusetts Real Estate contract usually consist of some or all of the following: A mortgage financing clause, a home inspection, pest inspection, mold inspection, water testing and lastly a radon inspection. A Realtor’s job is to always look out for the best interests of their client. They have a fiduciary responsibility to make sure they protect and educate their buyer. Testing for radon in the air is quite common. Testing the quantity and quality when there is a well present at the home is also quite routine. I have found while working as a seller’s agent that often times many Realtors are remiss in suggesting to their buyer to test the well for Radon in the water. Before I get into the details about why this can be a costly mistake let me tell you a little bit about Radon. Radon is an odorless, colorless, tasteless, radioactive gas found beneath the ground. It occurs naturally and is produced by the breakdown of uranium in soil, rock, and water. Radon has the ability to dissolve into our water supply. How does Radon get into the water? Most radon that is found in homes in Massachusetts as well as many other parts of the country is typically found in the air. It is far less common to see radon in well water. Radon enters into a home from seepage through cracks in the basement floor and walls. When you live in an area where there is an abundance of granite you are more apt to find radon in the water supply. High levels of radon gas are formed and travel through the granite and into the groundwater which is then transported to your private well. For radon to become a soluble within the water that travels through the cracks in the bedrock, it first has to come in contact with a radium source that is in the process of breaking down into the radon gas. During the transformation, the radon atoms that are created, will either go from the rock and into the water, or they will stay in the rock and not effect the water at all. Because of how radon is formed it is very sporadic. When radon is found to be present in well water showering, washing dishes, and laundering can release radon gas into the air of the home. How to find out if there is Radon in well water? This is where I said above that it can become very costly for a buyer if their Realtor is not paying attention. When you are buying a home with a well one of the contingencies you should have in your contract is the ability to test for Radon in the well water! There are some home inspectors who perform well tests as part of their service but if not you will want to get someone who specializes in well testing. Whoever does the water test will take a sample of the water that will get sent to a lab for testing. YOU MUST ask for the well to be tested for Radon as it is not part of a standard screening with most laboratories. How to remove Radon from well water? 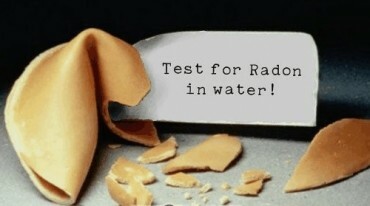 So what happens if the test comes back positive and you have radon in the well water? Removing radon from water can be done easily enough but is far more expensive than removing radon from the air. By clicking the link you will be taken to a comprehensive reference of removing radon from your homes water system. Removing radon from water is far more expensive than removing it from the air. If you have just discovered you have radon in your water make sure you read this article as it not only explains how to remove it but why it is so important to do so. While the removal of high radon in the air of a home can typically range from $900 to $1300 for a standard radon mitigation system, you can expect the cost of radon removal in water to cost thousands. There are two methods of removing Radon from well water. One is called a Radon Aeration system and the other a Granular Activated Carbon system or GAC system for short. An aeration system is generally recognized as the best system for removing radon from well water although it is much more expensive. An aeration system can run around $3500-$8000. The aeration system is usually installed next to the well tank where the water enters the house. The aeration system consists of a plastic tank where the water gets air injected into it. Radon gets released as it comes in contact with the air. There is a venting system attached that takes the gas up and out of the house generally through a pipe up to the roof. A granular carbon treatment (GAC) system is also usually installed where your water supply 1st enters the house. The GAC tank is installed after other water treatment systems such as a water softener. A GAC tank is filled with a coconut based activated carbon. The Radon gets trapped in the millions of pours in the carbon as the water passes through. Fresh carbon is able to hold 90% of the atoms until they decay. The benefit to a carbon system is cost. Generally speaking you can expect to pay between $1500-$2000 for a GAC Radon system. The other plus is that with a GAC Radon treatment system the carbon will also capture other water contaminants. The only downside is that if there are a lot of other contaminants in the water it can shorten the life span of the carbon filter which can become costly to replace. If the Radon level in the water exceeds 20,000 pCi/l per liter it is recommended that an aeration system is used over a GAC system. The reason why you want to remove radon from the water supply is not due to the fact that you are going to start glowing if you drink the water. When there is radon in the water each time you turn on a faucet you are letting radon into the air! According to a few websites, radon in the air is estimated to cause as many as 20,000 additional lung cancers per year. Drinking water that has radon in it is only estimated to cause around ten additional cancers patients per year. As you can see there is a huge difference in where radon can hurt you. The risk from ingestion is very minimal. Remember this: Radon is caused by the breakdown of Radium. It is a gas that can be very sporadic in nature. It is very possible that the home next door could have radon in the water or air and you do not or vise versa. You can not make the blind assumption that if the neighbors home has it so do you. About the author: The above Real Estate information on removing radon from well water was provided by Bill Gassett, a Nationally recognized leader in his field. Bill can be reached via email at billgassett@remaxexec.com or by phone at 508-435-5356. Bill has helped people move in and out of many Metrowest towns for the last 28+ Years. 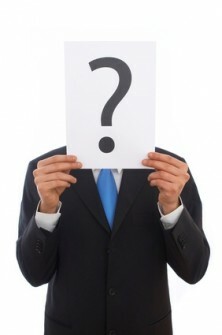 Previous Article Short Sale Lawsuits Will Realtors Be Next?